Just some random photo links I’m forwarding to myself for the someday file and a tea break well spent. Seth Eberly East penn rail way had to bring in the Middletown & New Jersey # 2 because Tropical storm Lee washed out the trackbed. Seth Eberly M&NJ #2 idels away after just shifting some tank cars around at farrel gas. Paul Koprowski After many years of working in upstate New York as the only active locomotive on the line, Middletown & New Jersey 2 now lives a quieter life of shifting tank cars at the East Penn’s Manheim operation. Paul Koprowski The only markings left that tell of this unit’s history with the Middletown & New Jersey Railway in upstate New York. Paul Koprowski The East Penn Railroad’s Manheim operation has received some new power in the form of ex-SP B30-7 7874. Built by GE in 1979, it was moved here from the ESPN Lancaster Northern line to work with MNJ 44-ton 2 on former Reading rails. Seen from the Manheim Community Park which borders the tracks. Ken Sherta This switcher is used by an oil company to move cars on a spur that was the Lebanon branch of the former Columbia & Reading. The posts all start with a variation of the phrase “I am not a layout designer”. Each time Rick de Candido presents an idea that is unique, yet undoubtedly draws from the experiences he’s gained from building the Fillmore Avenue Terminal and what he’s learned about his own relationship with the hobby. You can see the family resemblance in broad, aesthetic terms but it’s clear that none of these ideas is a simple rehash of a common theme like: shelf layout done three ways. Through detailed text and annotated with terrific photos, articles like the above describe how a layout could be created based on only this extract. Each time I’ve read Express Car Ops, I’ve caught myself thinking just how fun that job would be to hold at Fillmore and, equally, just how fun this alone would be if this was all the layout I had at home. This style of writing is something I wish we were treated to more often in the hobby. The railroad, both real and in model form, is a community of activities. As with any community there will be stories that we are attracted to and that draw our attention in. In doing so, we’re invited to get to know the greater story on a more personal level since we’re provided a chance to relate our story to the one we’re discovering. Maybe not a layout designer like the ones we typically get in the pages of the latest track plans book but I’m grateful for that. We could use more people that aren’t. Thanks Rick. You’ve created something really good both in the model railway and also the website dedicated to telling its story to the rest of us. I appreciate the work and have always enjoyed checking in. 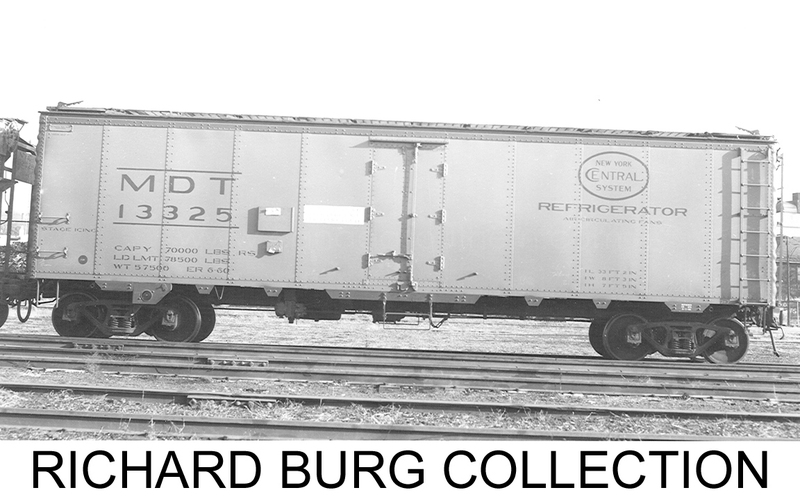 This train serves to deliver coal to the coaling station and boiler house in the scene. That detailed coaling tower would make a superb signature scene instantly identifying the story of the layout and each operating session would be devoted to the acts of a single shunting engine, moving coal hoppers around.